— Announcement: County Supervisor Susan Peters scheduled a community meeting from 6 p.m. to 7 p.m. Feb. 22 at the Carmichael Park clubhouse. Transitional Housing Tour: Ken Bennett, Sacramento Self Help Housing (SSHH), led the tour in January at the Cathedral Shelter, transitional housing that lasts for three months with possible extensions. The duplex houses five men on one side and five women on the other side. The St. Vincent DePaul chapter of the Cathedral of the Blessed Sacrament pays for rents and utilities and contracts with SSHH for a house manager and case manager. * Ken said homeless people coming to the church are vetted before admission to transitional housing. * The tour also took in Grace House in Elk Grove, which has transitional housing for singles and sometimes couples. * Ken offered to lead another tour in the coming weeks for interested parties. * Scott said a second annual stand-down is planned for April 18 at Holy Family Catholic Church. Larry Niekamp of St. John the Evangelist and other organizers hope to learn from the Citrus Heights model. Another goal would be to transport Carmichael veterans to the site, where they would receive services such as medical, veterinarian, barbering, dental and other resources. * He said this is the last year for the veterans stand-down at the Mather site. 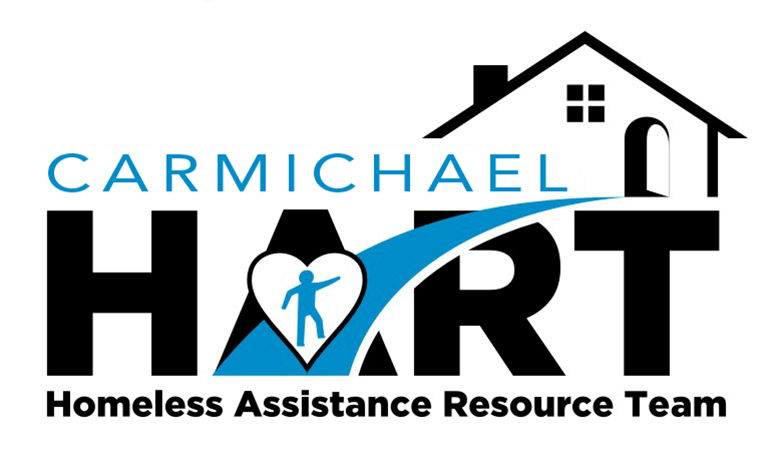 * Scott and two other Carmichael HART participants were among some 300 volunteers who took a “point-in-time” count of the county’s homeless population. A report is expected in the summer to allow HUD to allocate resources based on the count. * Carmichael Presbyterian Church (CPC) is the community’s intake site for busing homeless people to county host churches through March 31. Sacramento Self Help Housing and other nonprofits are involved. * Barbara Foley of CPC said the church had experienced a number of challenges doing the intakes for Winter Sanctuary. Preschool parents and neighbors have expressed concerns about the many guests who do not pick up their belongings in the morning and who are “hanging around” when they are supposed to leave the site. The Winter Sanctuary leadership is working with CPC to hire additional staff to address some of these issues. * 12 Carmichael HART people attended a 6 ½-hour meeting with county supervisors and city council members that attracted more than 400 people. * Susan Frost, a county supervisor, told Carmichael HART that the city council members initiated the meeting hoping for cooperation with the county Board of Supervisors, and the joint powers authority, Sacramento Housing Redevelopment Agency (SHRA), which operates an award-winning voucher program. * She said HUD guidelines nullify the vouchers if they aren’t used within certain time limits. Vouchers often are used for rooms in housing complexes where services are provided. * A shortage of rental properties with willing owners means as many as 70,000 people are on voucher-related lists in the county. * Policy-makers are considering if priority rankings should let some homeless people such as families to jump ahead of others who have waited longer. * Carmichael and other unincorporated communities need a voice to overcome a funding advantage of the county’s cities. * A report with recommendations for local government efforts on the homeless front is anticipated by March 31. * Deacon Mark Holt of Holy Family thanked Carmichael HART for helping with the seven-week program that ended Feb. 12. He said approximately 70 guests were served by a total of 1,200 volunteers at Holy Family, Celtic Cross, Advent Lutheran, Christ Community, and the Church on Cypress. * Deacon Fred Green of Christ Community Church worked especially hard at various sites before he was hospitalized with pneumonia, a cautionary lesson for volunteers who work as hard as Fred, Mark said. * Several other HART volunteers spoke of similar positive experiences. Supervisor Frost said her church, Celtic Cross, placed a sick guest at Grace House. Norma Niekamp said her pastor said after shelter visits that St. John the Evangelist would participate in Carmichael HART’s Winter Sanctuary next year. * Ken Bennett said three shelter guests in Elk Grove were placed into transitional housing. He proposed a counseling intern program to run parallel with the winter sanctuary. * Advocacy: Justin Giachino of Christ Community Church said the committee is working as the voice of Carmichael HART, advocating for a “navigator” to connect homeless people with resources, building relationships with policymakers, envisioning a triage center and transitional housing, and improved relations with property owners and landlords. The committee plans to meet in March but has not yet scheduled a date or time. Justin brought up a Carmichael Community Meeting sponsored by the Sacramento Sheriff that will take place March 21 from 6 p.m. to 7 p.m. in the library of Del Campo High School. * Housing: Ken Bennett said the committee is looking at affordable housing options in Carmichael, identifying people to contact, and soliciting comment. 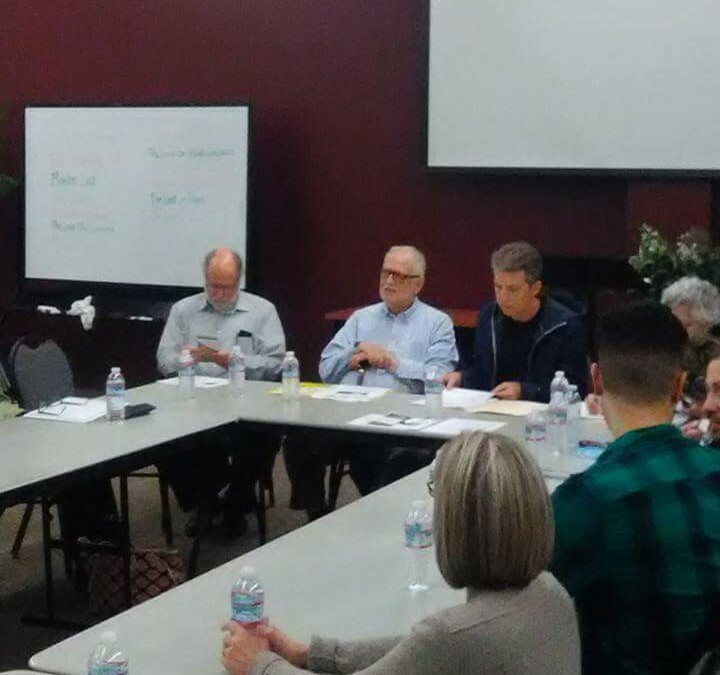 The committee’s next meeting was scheduled for Monday, March 5 at 6:30 p.m., at Christ Community Church. * Youth Initiative: Steve Young of the San Juan Unified School District said the committee discussed challenges for getting children to school and keeping them there: transportation, basic needs, keeping families together, and teaching parents to help their children learn. He said committee members shared personal motivations such as a mandate to love neighbors, addressing the justice imperative, and the need to find the most vulnerable children. Next steps: identifying the committee’s short- and long-term goals. The next meeting was scheduled for Monday, March 5, at 5 p.m., Christ Community Church. * Scott Young said committees will develop initiatives for referral to the large group. He said HART must set up a committee in June to plan Carmichael’s 2017-18 Winter Sanctuary. He also acknowledged that Carmichael HART would need to consider other goals such as mentoring, fundraising, and grant applications. Next Meeting – Thursday, March 23, 6 p.m. at Christ Community (room to be decided). Meeting adjourned at 7:35 p.m.